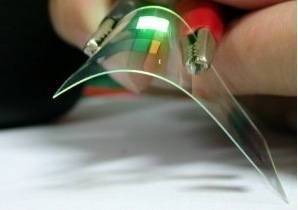 GEOSET » Discovery and development of conductive polymers. View Discovery and development of conductive polymers. Alan MacDiarmid was the first New Zealand born and educated Nobel Prize (Chemistry, 2000) winner since Maurice Wilkins in 1962. In this interview MacDiarmid talks about the science that he was awarded the Nobel Prize for, the discovery of the first conducting polymer – polyacetylene. He says that we showed that we could dope it to a high conductivity. MacDiarmid holds a strong belief that people need to be scientifically aware and scientifically equal in order that they can understand and have an influence on governments during in this technical age.